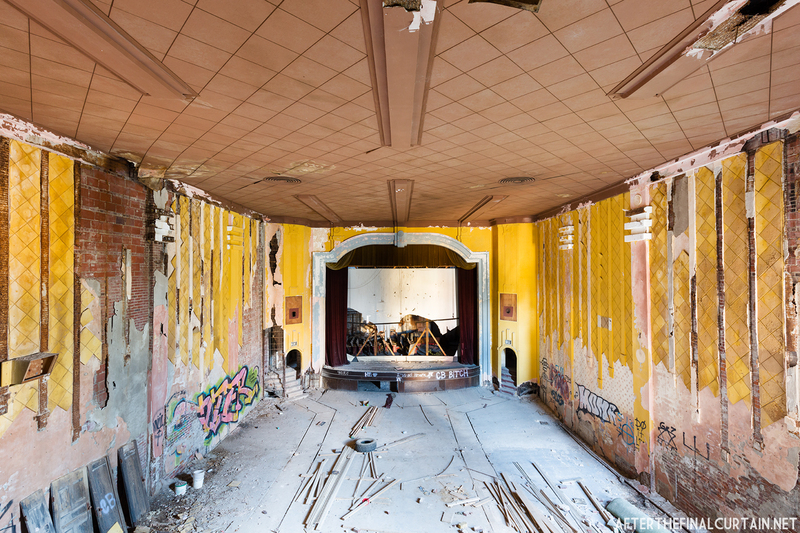 The original Gem Theatre in Cairo, Illinois opened on October 10, 1910. Opening night’s main attraction was the Cora Youngblood Carson Sextette, a group of young women who sang and danced. Three photoplays, which was an early form of motion picture, were also shown. This incarnation of the Gem was destroyed by a fire in 1929, and a new theater was built in its shell at a cost of $200,000 (or $2.8 million when adjusted for inflation.) 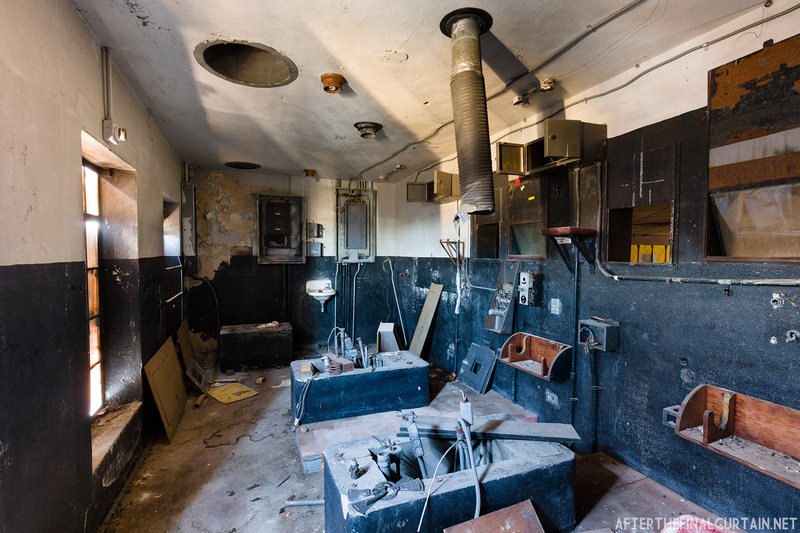 The Gem was destroyed by another fire that started in one of the dressing rooms on February 27, 1934. 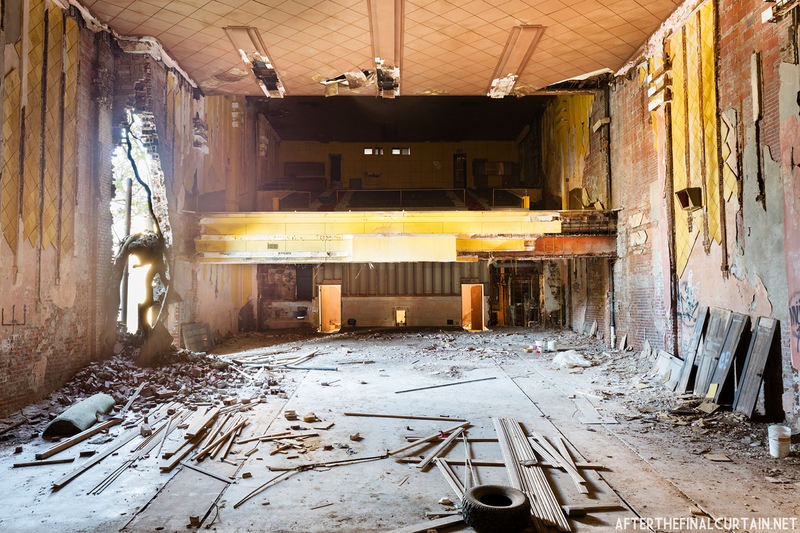 It was rebuilt as an art deco theater with 900 and reopened in 1936. Construction of the original 685 seat theater was completed in just over four months. In 1978, the Gem closed for good, and the lobby was turned into retail space, at one point becoming a video rental store called Gem Video. 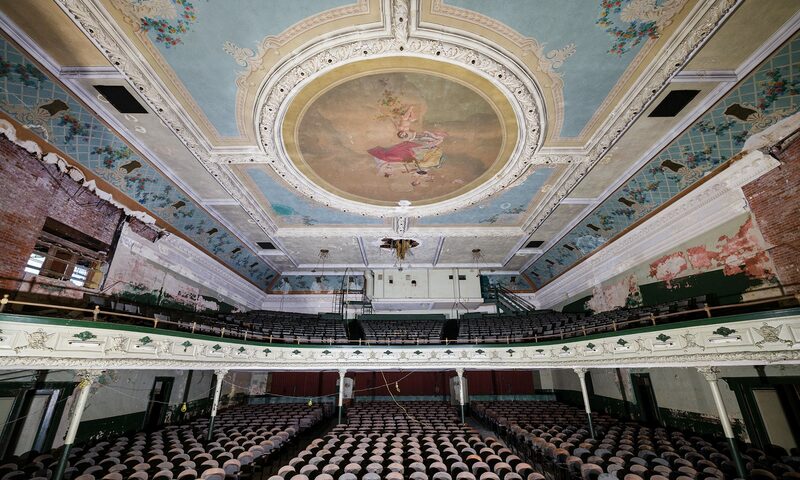 In 1995, the building was donated to the city, who planned on reopening as a movie theater and cultural arts center. They began work on the building in March of 1996, and were assisted by former Peace Corps volunteers as part of the Peace Corps 35 year anniversary. During this time the roof was replaced, the marquee was removed and restored, and the lobby was restored. A tree is growing in the auditorium through a large hole in the wall. On October 1, 1998, the restored lobby was shown to the public during Cairo’s October Days Festival. 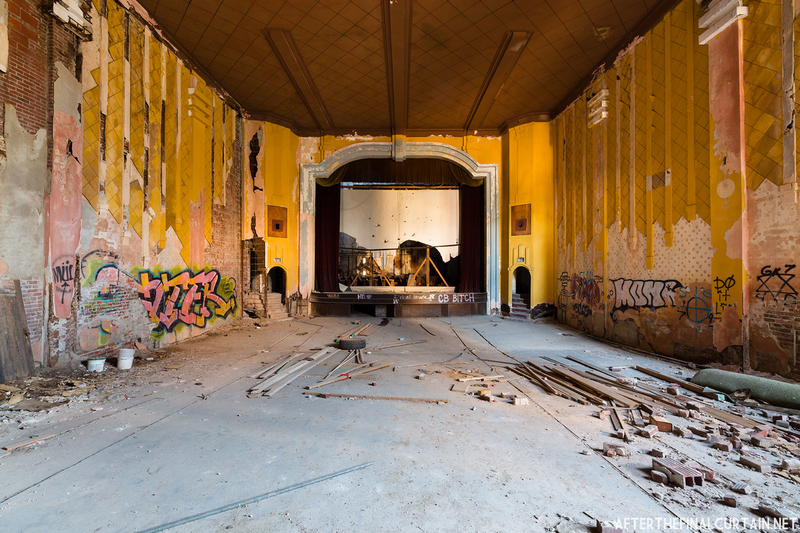 In 2000, the City of Cairo received a $436,000 Federal grant from the Commerce Department’s Economic Development Administration, and $231,900 of it was to go to the redevelopment of Gem Theatre. An additional $20,000 was given by the state of Illinois to renovate the theater’s stage and the city itself contributed $70,256. 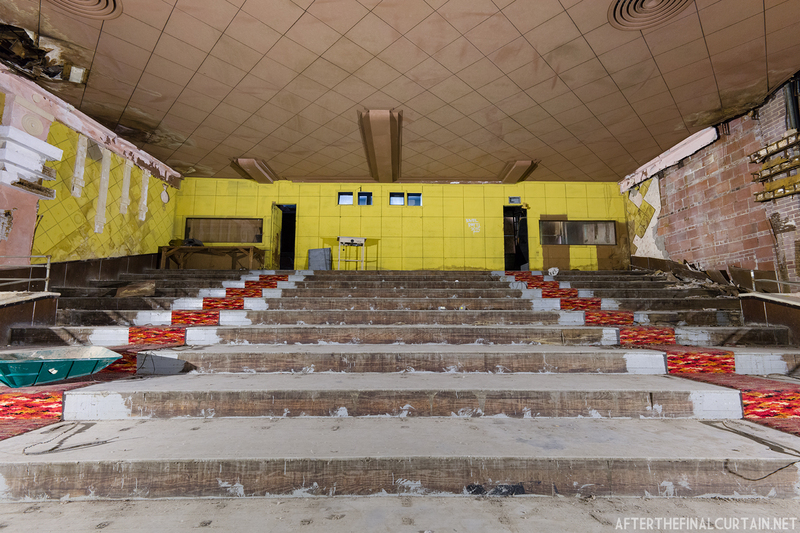 However, the restoration of the theater was put on hold in the mid-2000’s and it is unclear whether it will ever be restored. 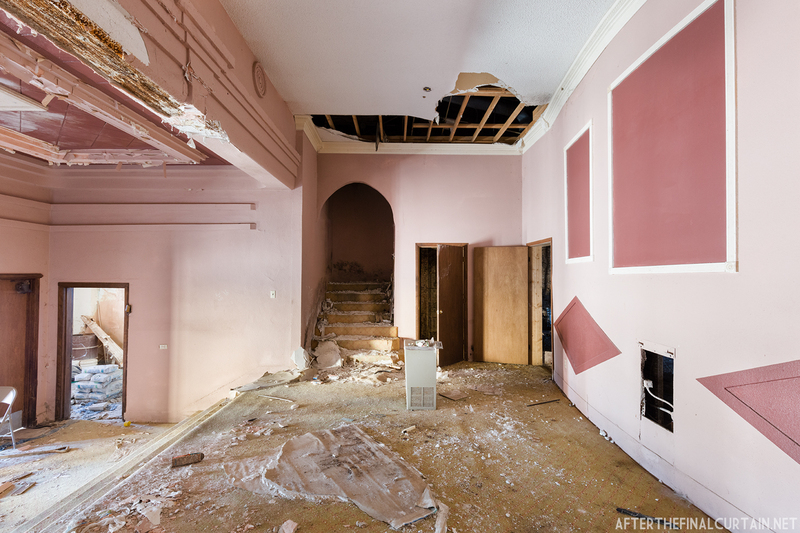 The lobby was restored in the late 90s, but has fallen back into disrepair. The projection room is empty.